Protect yourself against any dispute with adapted Custom terms and conditions and GDPR Compliant ! 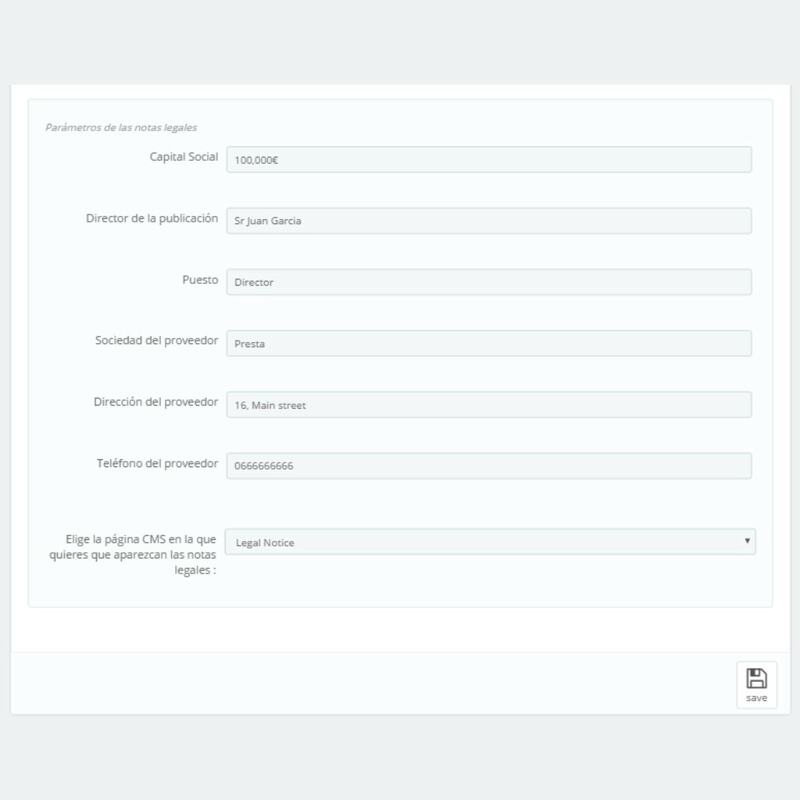 Customize and update the Custom Terms and Conditions of your online store using the template created by a law firm specializing in Internet law in collaboration with PrestaShop and protect yourself against any dispute! This module will take the new General Data Protection Regulation (GDPR) into account as soon it come into force the 25th of may 2018. Buy this module right now, and you will benefit of the new Customs Terms GDPR compliant. Only a few clicks will be necessary the 25th of may to upgrade this module into compliance for free. 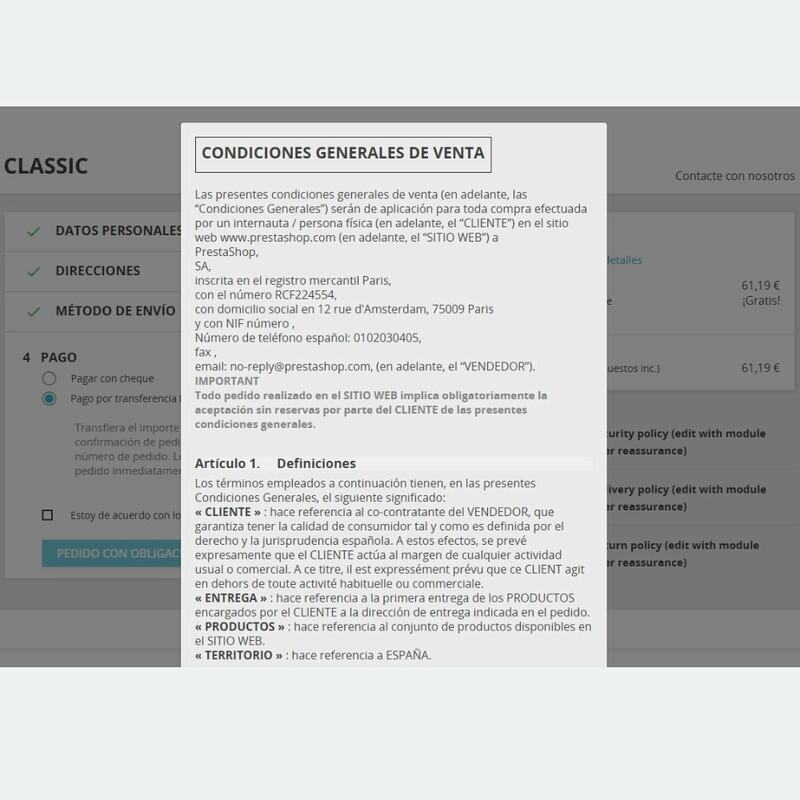 This module is available for merchants located in Spain ONLY. 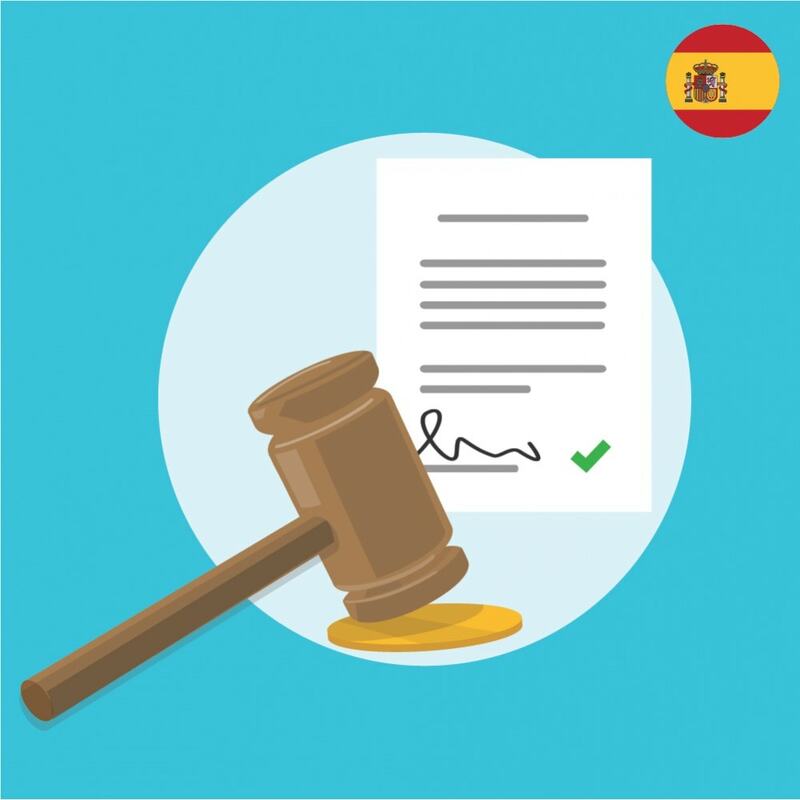 Right to data portability, right to access or right to obtain erasure of the personal data, … All of these subjects are now enforced by the european reglementation (General Data Protection Regulation). 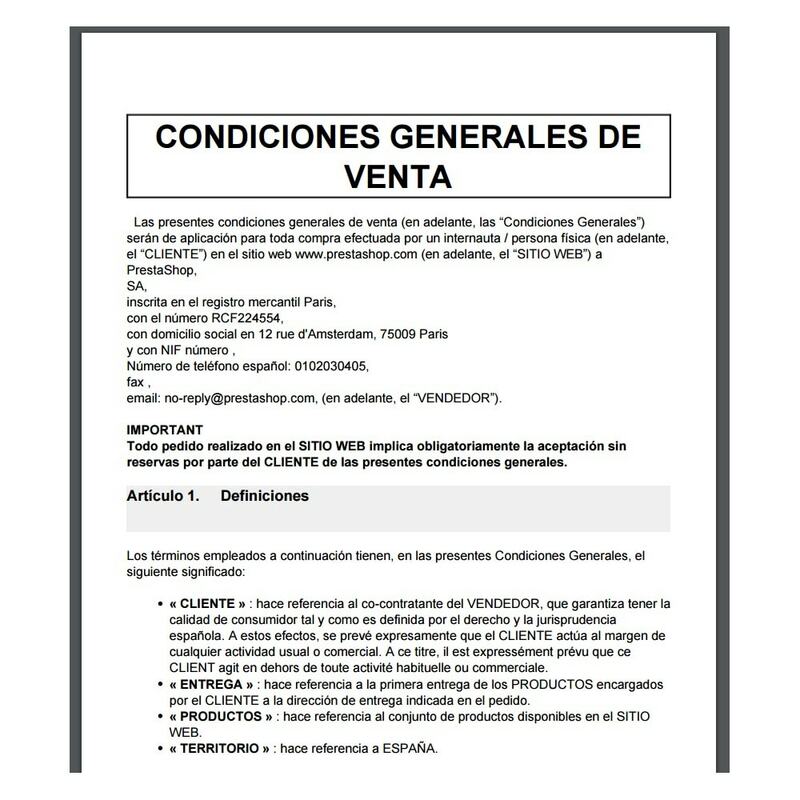 Starting from the 25th of may 2018 and the entry in force of the GDPR, every e-merchant have to update the Terms and Conditions of his shop to include news specificities for personal data protection of his clients. Protect yourself against any dispute with adapted Custom terms and conditions and GDPR Compliant ! 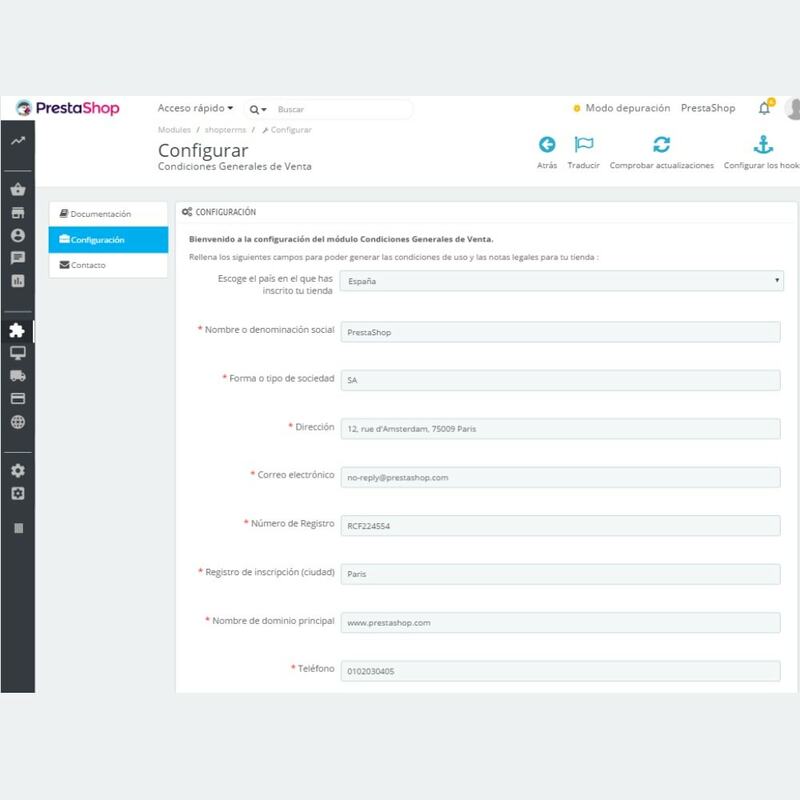 Customize and update the Custom Terms and Conditions of your online store using the template created by a law firm specializing in Internet law in collaboration with PrestaShop and protect yourself against any dispute! This module will take the new General Data Protection Regulation (GDPR) into account as soon it come into force the 25th of may 2018. Buy this module right now, and you will benefit of the new Customs Terms GDPR compliant. Only a few clicks will be necessary the 25th of may to upgrade this module into compliance for free. 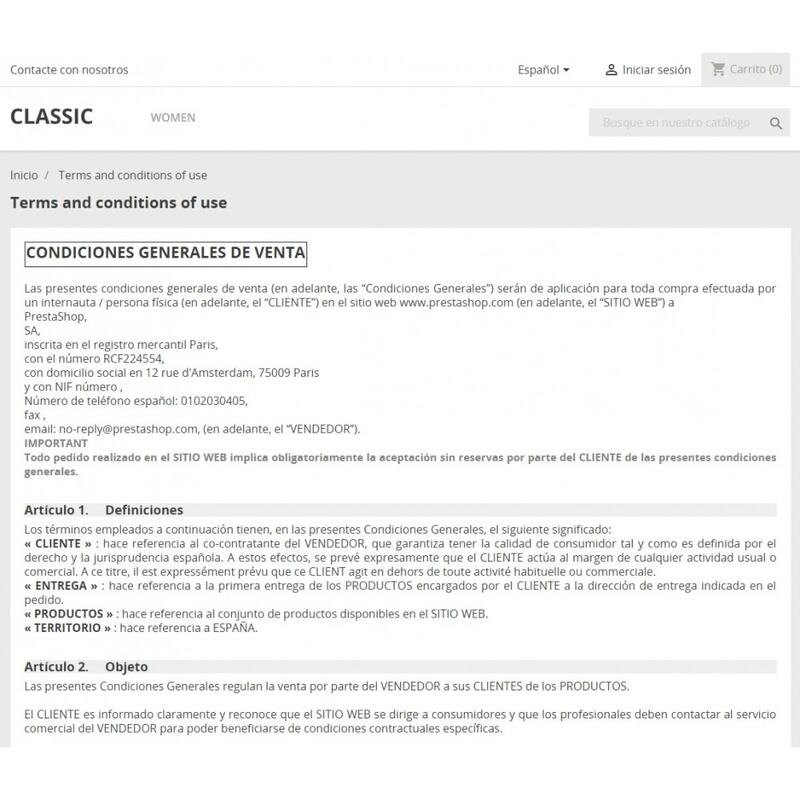 This module is available for merchants located in Spain ONLY.